Having your keys easy to find can save you a lot of time. This guide is about keeping track of your keys. My husband, sons and grandsons are great fishermen. Here is a tip for all the fishermen when they go boating. Tie a few corks to your key ring. If the keys end up in the water, having them float on the top of the water is so much easier than trying to find them at the bottom. You might never find them if they sink! Happy fishing. Hey, I'm 15 years old and hope I can help you all out! My tip is that if you find you lose things perpetually, like cell phones, car keys, credit cards, phone numbers, or any other small item, you can buy a simple CD holder (the ones that hang on the wall or door), hang it up, and store all your small but necessary items in it. It works great! The items are easy to remove and put back in, and if you hang it somewhere obvious, you'll never lose your stuff! Hope I helped! If you constantly forget to take a bottle of water with you to the gym, do what I do: I put my car keys in the fridge behind the water bottle. I have to move the bottle to reach my car keys and voila, the water is not forgotten! Don't laugh - it works! I seal RV keys, boat keys, etc. in a ziploc bag (leave some air in the bag). Then if they are dropped in the water (i.e. pool, lake, river and the like) they float! 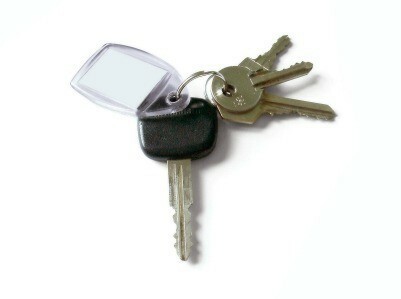 Do you happen to use a key ring that separates? Have you ever lost part of your keys? I have. My ignition key also unlocks my doors, I also have a remote control for the door locks. I use a carabiner as a key ring so that I can leave my car running while still able to lock the doors. Doing this though I have temporarily lost my ignition key a few times. I now use the same trick I used on my Mother who was always losing her whole set of keys. For Mom, I used a bell I bought from a pet store that was for a parrot. I now put a mini cow bell on my ignition key. If the key drops off my ring while pulling my keys out of my pocket for any reason it makes enough noise hitting the floor or ground that I no longer just keep walking away. And although my kids are now grown, when they were small I would use the old trick of bells on their shoes to be able to hear them.